Gold seems to have found some support around the $1640 level and is at $1655 this morning. Considering how much geopolitical tension is built into the price of oil it is a surprise to see this hasn't translated into strength for the yellow brick. The real worry for the bulls is that the recent recovery of the dollar has been signalling a possible end to the amazing rally in gold over the past decade or so. Many bulls still believe this is merely a blip as part of the next big move higher, but that can only really come if the Fed becomes more bearish and gives greater hints that QE3 is on the way. Brent continues to hover near its highs and is at $123.20. As mentioned the price is still loaded with geopolitical tension. Consumers and businesses are wishing that these tensions are eradicated which, if they were, would see the black stuff decline sharply. With prices at the pump creeping ever higher, the squeeze for motorists is becoming a real problem and will affect the wider economy if it continues. On the commodities spread trading markets, gold continues to suffer in the face of a strengthening dollar and yesterday the yellow brick hit a 2 month low. Concerns over the situation in China has weighed on the miners as mentioned above and this is also taking its toll on metal prices. This morning gold is finding a little bit of support around $1645 as it trades at $1647 at the time of writing. Brent crude oil recent strength has also been kept in check by a general halt in the move higher by commodity CFDs. With shares markets still remaining quite strong the price of crude has yet to retrace in any major way and at the time of writing Brent is at $124.65. As a result of the continued recovery of the dollar, the gold spread trading market has really suffered and in well below the $1700 level at $1668 this morning. These are the recent lows and so bulls will be hoping to see some support for the yellow brick. Nevertheless, for as long as the Federal Reserve keeps saying that QE3 is on the back burner, sentiment towards gold will struggle to get any more bullish. Now back below its 200 day moving average things are starting to look a little bearish for the metal. Shock waves were sent rippling through the commodities markets yesterday as a much bigger than expected trade deficit for China was released. This in turn put a stop to the three positive sessions for gold, with the Asian economy being one of the top buyers of gold jewellery alongside India and therefore making traders question future demand for the yellow brick. In total, the precious metal lost $13.7 of its price, ending the session down at $1700.0 which at time of writing hasn't changed. Once the world's second biggest oil consumer, namely China, reported a surprisingly larger than expected trade deficit, crude prices were sent plummeting into an abyss. The Chinese government reported the $31.48 billion deficit was caused by lower exports coupled with seasonal downward adjustments and following a $27 billion surplus in January. Currently, Brent crude trades up at $125.87. With the Greek government luring in private investors to accept a debt swap agreement, gold continued its rally on Friday. Although traders are still trying to figure out the full picture surrounding the deal, it was enough to ease the pressure attached to the price of the yellow brick. All in all, the precious metal gained $4.5 to close at $1713.6, finding resistance around the 40 day moving average and at time of writing, these gains have been eliminated with the price sitting at $1703.0. 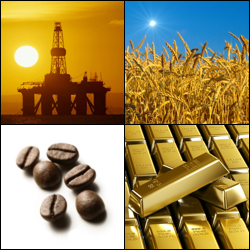 Crude oil prices were driven higher during Friday's trade on the back of better than expected NFP roll data. With the US economy being the biggest in the world with the highest oil consumption, a good figure is seen an indication that demand for the black stuff will stay high. At time of writing, Brent trades at $125.50. Gold is also a little softer this morning following a similar bounce to other risk assets that it has enjoyed in the last couple of days. The yellow brick is at 1700 at the time of writing and traders will be keenly watching the near term support and resistance seen at $1685, $1672, $1663 and $1711, $1724 respectively. Brent crude oil having rallied back above $126 is just a little lower at the time of writing as it trades at $125.15. The US economic data today can cause volatility here to so watch out for any wild swings if the number is too far off the mark. With the dollar finding little strength in yesterday's session, gold prices were given a leg up, sparking a bout of buying after the recent sell off from $1790.0. The boost was limited though to $10.7, meaning that the yellow brick closed up at $1684.8. Traders will be looking to the US Non Farm Payrolls on Friday for further direction. Currently, the rally hasn't lost steam, and the price of gold is trading at $1693.1. Much like gold, crude oil was driven by the highly anticipated Greek swap deal, as investors believed that this will save the euro from any further mayday calls and thus keep the demand for the black gold up. Support was provided from the weekly inventories report that showed a lower than estimated build in crude stocks, combined with a fall oil consumption. At time of writing, Brent trades at $124.97. Gold couldn't hold onto the $1700 level and once it broke below its lows the flood gates opened somewhat taking the yellow brick to as low as $1662. This morning, along with the other commodities spread trading markets, gold has found a little bit of support taking it to $1674 at the time of writing. Brent crude oil is also perkier this morning and hasn't really suffered the same sort of selling that other risk assets have in the past few days. This goes to show just how much the black stuff is propped up by geopolitical risk priced in. Brent is at $122.65 at the time of writing. When Ben Bernanke failed to mention the possibility of a third bout of asset purchasing in his speech last week investors decided to dump their gold holdings as demand for an alternative asset eased. Instead, traders decided to reinvest their cash into the US dollar as it appeared the US economy was on the mend, further damaging the precious metal's price. All in all the yellow brick shed $5.8 bucks to close at $1712.2 ending the week on its knees after the horrific slump on Wednesday. At time of writing, things aren't looking any better with the price of gold sitting at $1706.9. Concerns over supply issues for crude oil were eased on Friday as Saudi officials brushed off rumours about an oil pipeline explosion, sending prices of a barrel plummeting. Another factor was the fresh worries over European debt potentially hurting demand for black gold. In summary, it was a bearish session for the energy sector with no support offered from the US currency. Currently, the price of Brent sits at $123.51.